Megan Mattiuzzo first suspected she was pregnant while doing a photography job in New York City. When she returned to Western New York, Megan's obstetrician at Neighborhood Health Center Southtowns, Dr. Maria Lagopoulos, told her it was true. That was eight months ago or so. Megan, 29, of Hamburg, who works as a fashion and wedding photographer, made an immediate promise to her husband, Ryan. 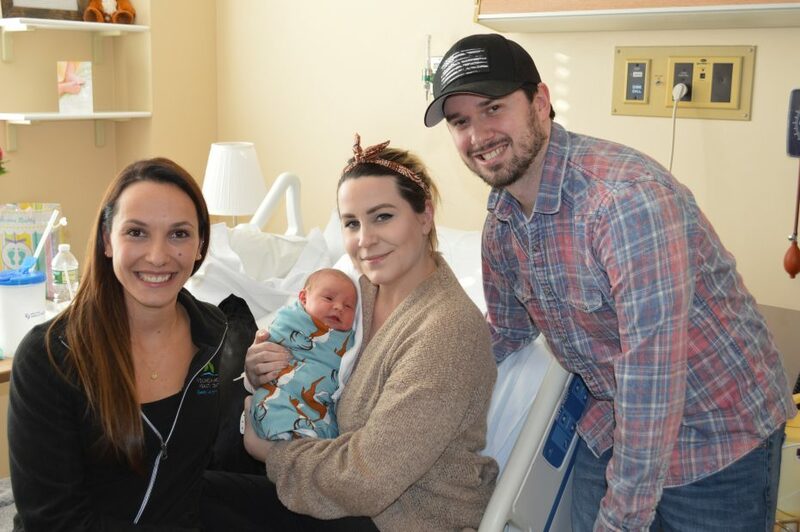 She vowed to pull off a hard-to-imagine feat amid her labor that would add an element of what Megan describes as the "epic" to childbirth, already an absolutely unforgettable event. As daunting as it sounds, she intended to photograph the instant when their child greeted the world. Wednesday, despite all the challenges you would expect, Megan succeeded. Her mother, Patty Scott, held tight to one of her daughter's legs while offering words of support. Megan's husband had a mobile phone in one hand – it was his job to text their families with updates – and Megan's camera in the other as he leaned in to comfort his wife while she began to push. Lagopoulos had already told Megan the notion of the photographs would be just fine, since Megan seemed so strong and that made any concern about the birth low-risk. Once labor began, the doctor promised Megan she would tell her at just the right instant. It all came together. Megan, operator of Megan Ann Photography, managed to both work hard at pushing while contemplating the right backdrop for the photograph: Moments before she delivered, she asked if someone would adjust the lights in the room to create a sharper image. Lagopoulos looked up and told her to get her camera ready. Ryan handed the Nikon D5 to Megan, who figured out how to aim by balancing the camera on her stomach, even as she continued to push. She had received an epidural, and she was giving birth, and she admits her ability to focus might not have been quite as keen as always. While that is understandable, to put it mildly, you cannot tell from the series of photographs. In the first, you see Lagopoulos and a nurse guiding the small head up into view, wary eyes opening just a bit, first in black and white and then – one quick adjustment later – in brilliant color. 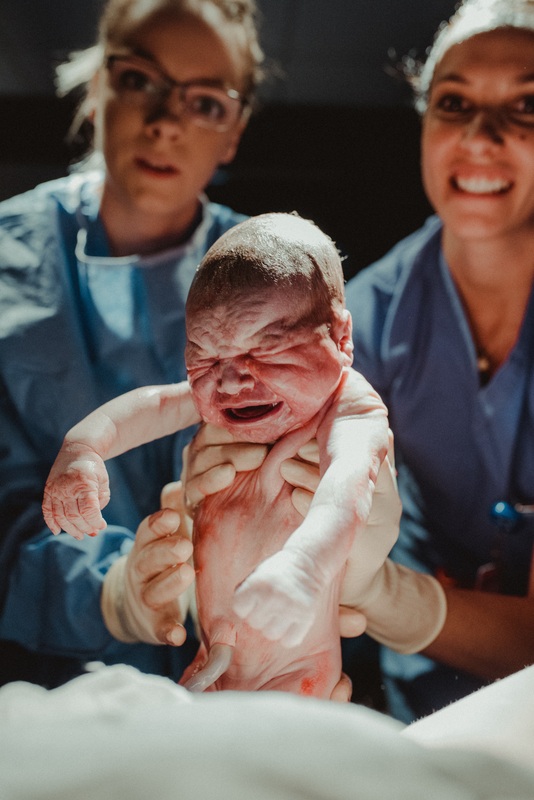 Finally, frame by frame, an entire, wailing, triumphant baby emerges, photographed in full welcome-to-the-world glory by a mom still bound to him by the umbilical cord. At 7 pounds 13 ounces, say hello to Easton Louis Mattiuzzo, checking in at 8:55 p.m.
Less than a day later, she posted the images on Facebook, where – as you would expect – they started to explode. The moment might have been a first at Sisters. Lagopoulos had certainly never seen a professional photographer, amid her own labor, document the sequence when she actually gave birth. Indeed, no one Friday around the Mother Baby Unit at Sisters could remember such a thing. Megan puts it this way. Her entire mission as a photographer is to capture the moments, once lost, you can never find again. For herself and Ryan – and someday for Easton – what event in life, she said, could quite equal the instant of birth for their first child? "His whole life will be photographed," she said of her son. Friday was International Women's Day, and Megan had prepared for it in about as fitting a way as imaginable. This week, working closely with a woman doctor, she combined the absolute instant of giving birth – the greatest moment of her life, by far – with photography, a profession that offers her such purpose and fulfillment. She knows that she and Ryan now face a joyous choice. 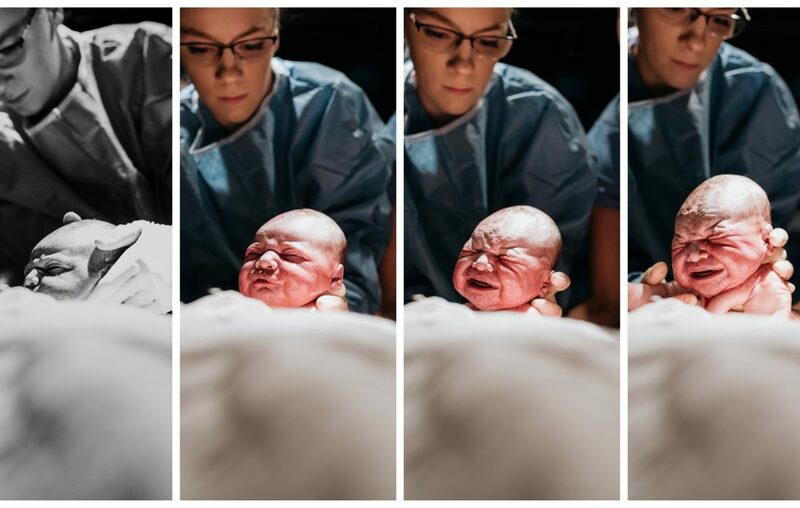 She snapped many images of the sequence when their son entered the world, and they intend to pick a favorite to hang forever on the wall. “It will be an epic one,” she said. Sean Kirst – Sean Kirst, a columnist for The Buffalo News, is a recipient of the Ernie Pyle Award for human interest writing and the national Society of Professional Journalists award for excellence in column writing. Raised in Dunkirk, a graduate of SUNY Fredonia, the son and grandson of Buffalonians, he has been an Upstate journalist for more than 40 years.